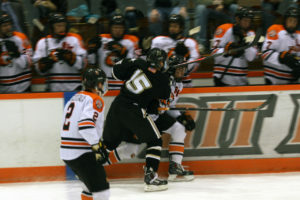 This weekend Tracy and I decided to go to the RIT hockey games. There were two of them, Friday and Saturday. 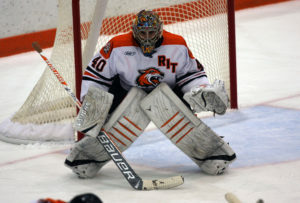 RIT won both of them despite having a down year so far. 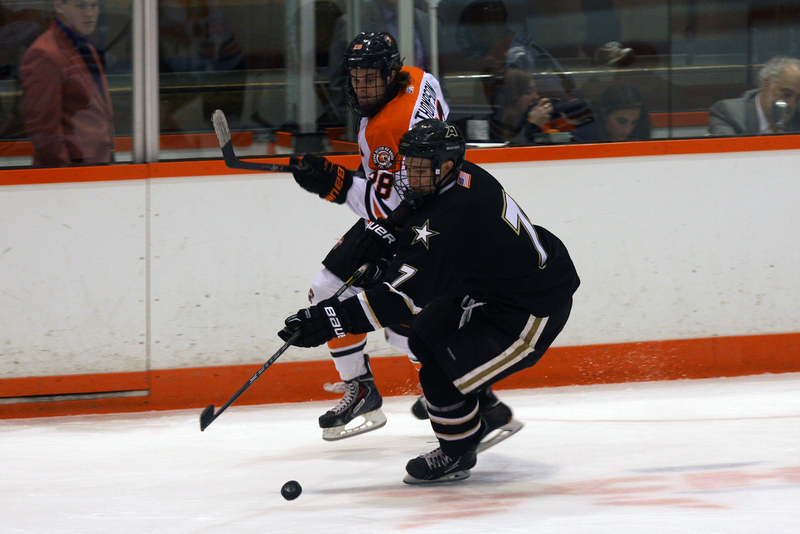 The first game was a 6-0 win, which really didn’t reflect how Army played. 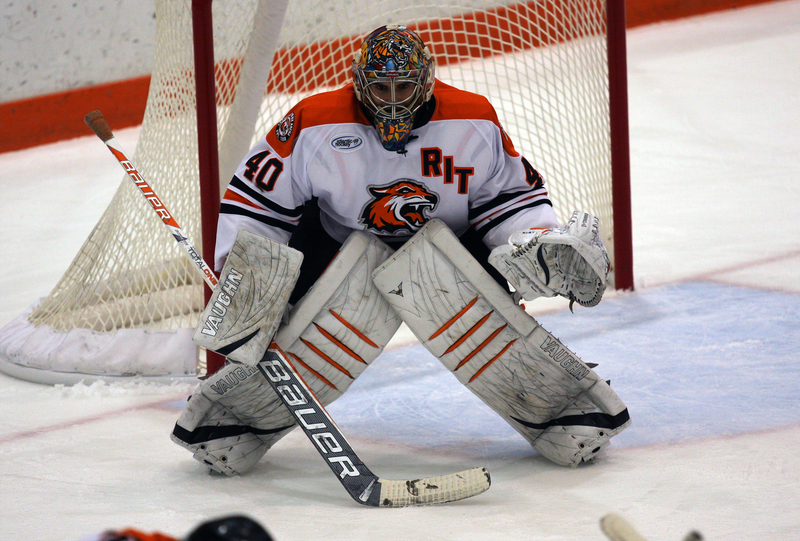 RIT got off to a 2-0 lead about minute and a half into the game and never looked back. 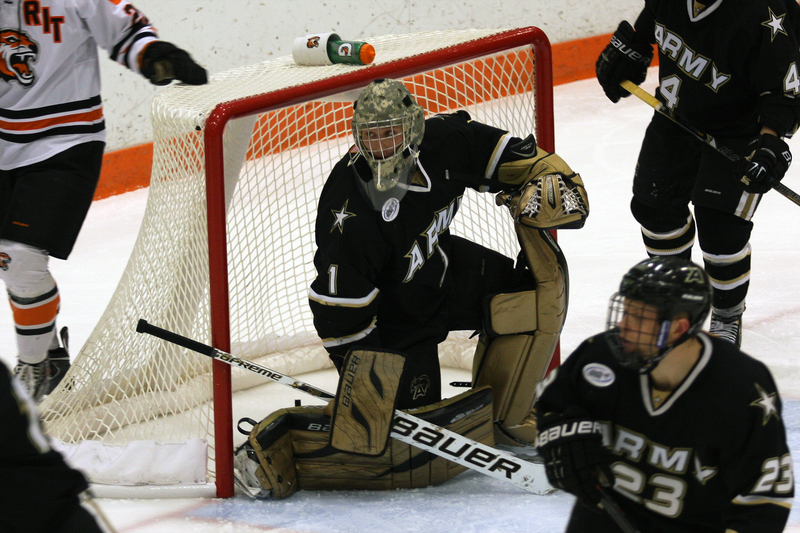 The second game was closer, 4-3 and Army put on a lot of pressure at the end. Both games saw a penalty shot, one for each team, but nobody scored on either. It was fun, and they were good games. 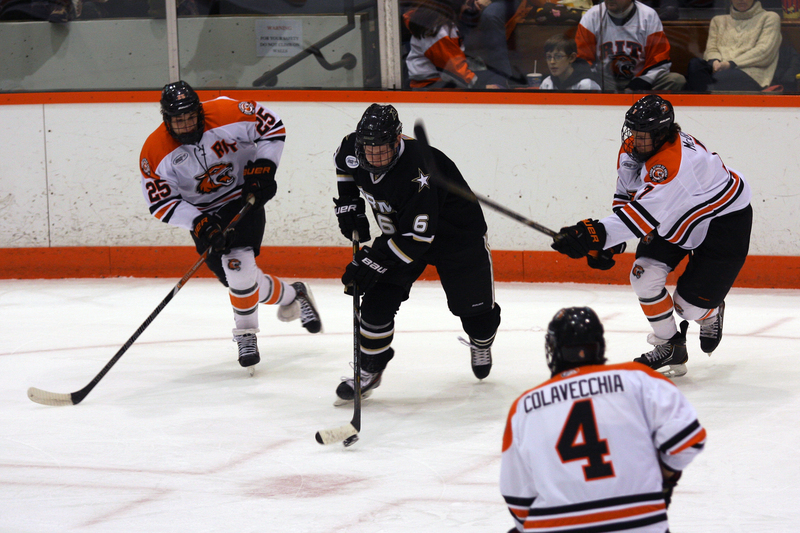 RIT is 12-03 against Army in it’s last 15, so it was the right weekend to go if you like winning. 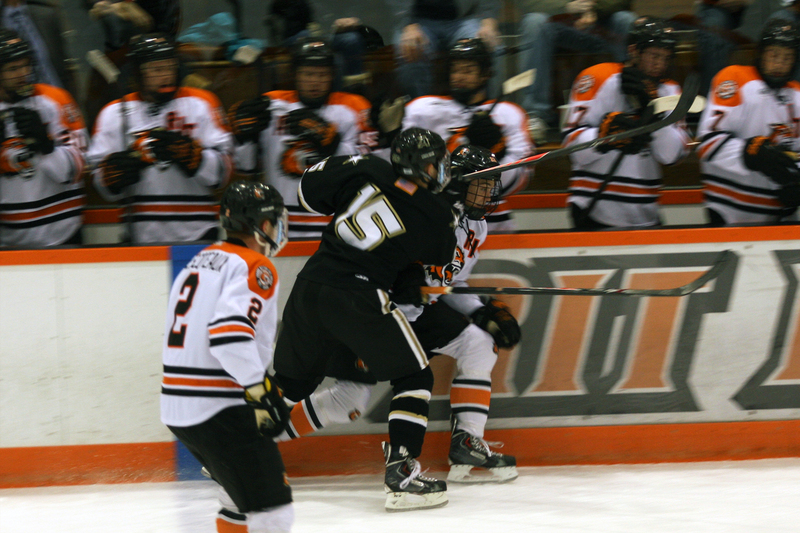 As is usually the case, you can see all the photos I uploaded in my RIT Hockey flickr gallery.